Learn from the best chefs of Bologna how to make fresh pasta. Shop in Bologna’s outdoor markets for the best produce. Learn culinary arts and refine your knowledge of fine Italian wines. 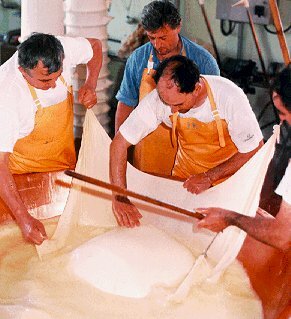 Travel picture of Chefs prepare cheese in Bologna.